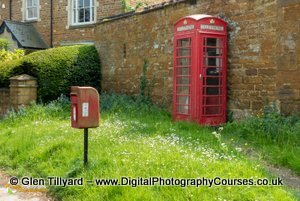 Welcome to the Digital Photography Courses monthly newsletter for April 2019. The April Project is - "Forced Perspective"
This month theme is a little more technical than usual but anyone who has done the Intermediate Course will have already tried this. The trick is to make something small look big so maybe a model car could be made to look like a full sized car. To do this technique it's best to use the small and sharp scenario with a wide angle lens (18mm) at f16 and get in close. Remember to focus on the forground subject. 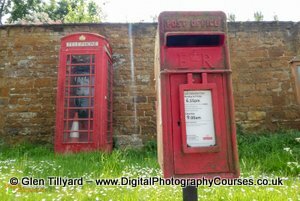 Notice how the post box in the foreground appears larger than the phone box in the background. This course includes a project sheet handout covering all the techniques you will learn on the day. You will be able to use this sheet again, in your own time, to repeat any exercises where you need a refresher. How to get the pictures you visualize. The Bird and Landscape Sunday 2nd June 2019. This course sold out within an hour after being announced on the Facebook Group. If you would like to attend then let me know and I'll see if I can arrange and extra date during the summer. This is one of my favourite courses because I'm a great fan of shooting into the sun. I just love those long shadows and the fabulous cloud formations with the sunlight streaming through. 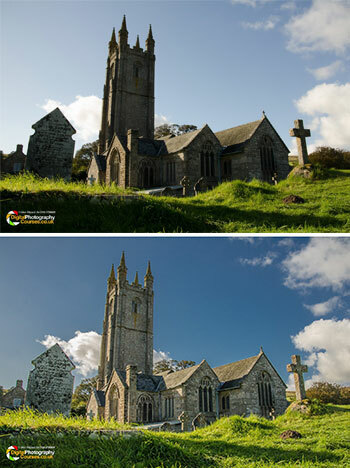 HDR allows us to create photographs which are more like the image you saw when you took the shot. For the morning practical photography sessions you will require a tripod with a remote release. The editing session will require a laptop computer with Lightroom installed. The next Night Photography Course will be on Sunday 27th October 2019. This very popular course will show you how to take pictures at night without using your flash. The course starts at 2pm and ends about 9pm and includes a light supper. Your own tripod would be helpful but we do have a couple of spares if needed. The course includes: portraits by candle light, buildings at night, car light trails, writing with light, painting with light, the northern lights and lightning plus some trick photography. Weather permitting, we should also be able to photograph the moon and maybe even some stars. As the days will soon be getting colder and darker I will be running more midweek Lightroom/Photoshop Courses. These will mainly be 221 days at £199 but I might also run a group course at £135. Contact me for details. Which Version of Lightroom & Photoshop ? The new subscription versions of Lightroom and Photoshop can be confusing so hopefully this will make it clearer. Up until version 6 you purchased Lightroom and Photoshop outright. Lightroom costs about £120 and Photoshop was about £600. Lightroom CC is the slower online version of Lightroom which is not as powerful as Lightroom Classic CC and you require an internet connection. Lightroom Classic and Photoshop are so well integrated that we us we use Include some Photoshop on the Lightroom Course. Lightroom CC is really intended for people uploading and editing from their phone or iPads as these have limited storage. I find 20GB is plenty as I only upload JPGs and store all my RAW files on external USB HDDs. 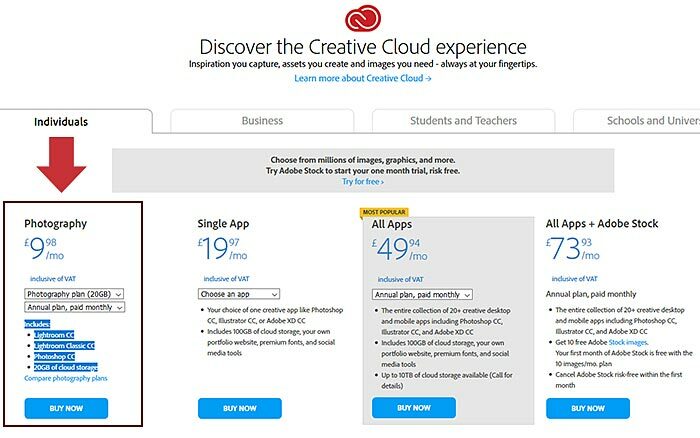 A couple of years ago Adobe went to a subscription model and called it the Creative Cloud (CC). Lightroom Classic, Lightroom CC and Photoshop CC together now cost about £10 PCM which also includes 20GB of online storage. Originally Lightroom CC was the same as Lightroom 6 but as Adobe added new features to Lightroom CC the CC version became more powerful than LR6 and included an online version of Lightroom called Lightroom Mobile. Last year Adobe had a stupid Lightroom name rebranding which caused huge confusion to photographers everywhere. Lightroom CC was renamed Lightroom Classic CC (I will refer to this as Lightroom Desktop) and Lightroom Mobile became the online version of Lightroom CC. You will require a laptop with Lightroom CC installed but we do carry a couple of spare laptops. This course also includes the option to icorporate a small amount of Photoshop work. 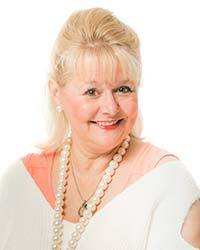 This usually involves creating a logo to add to your exported images for that professional look. The day starts with the Lightroom interface and how to import images, choosing & rating images, editing, cropping and exporting. You are encouraged to bring some of your own images on a USB stick or SD Card but sample images will be provided. If you haven't joined the DPC Facebook Group then you can still do so by following the links below. This is a closed group for DPC students only. New course dates are announced first on the Facebook Group and sometimes sell out before they get into this newsletter. A good example is the Big Cat Course which sold out within 24 hours of being announced. Let me know if this is a course you would like to attend as I might try and add an extra date. Join the Flickr 52 Week Project here. Anyone who has attended a course in the last couple of months will have a course checklist included in their handouts. This list all the different courses plus includes a handy project guide so you can tick of the various techniques as you master them. You can download a PDF copy here. After the continued success of last years project we are running the group again this year. All you need to do is to take one picture each week throughout 2019 and post in the Flickr group. 1, Only DPC students are allowed to join so you need to have attended a course. 5, Maximum of 5 photo's per month catch-up allowed. Some people have been able to join right away but others have had a message to say they need to be invited. If you do struggle to join just drop me an email and I'll invite you. We hope you have enjoyed this newsletter.